Let’s start a conversation! Scroll down and send us a message. We’ve worked with small family-owned businesses, up to Fortune 100 corporations, industry trade associations and sanctioning bodies. The common thread is the automotive industry, where we’ve focused our attention since 2004. We have experience taking the automotive industry’s pulse through market research…growing sales and profits with database marketing…managing online marketing with high ROI…creating custom email marketing programs…and creating marketing strategies to increase sales. We have a full-time team of very talented and smart people, we don’t outsource your work overseas. As a Google Premier Partner agency and Bing Partner agency we are required to maintain a high standard of training and customer service. Please contact us for the automotive aftermarket’s most effective marketing, strategic planning and market research. Just fill out the form, or give us a call at the phone number below. Please note we use Akismet to filter out spam messages. If you get an error message after clicking “Send,” try removing any URLs in the “Your Message” box. Thank you. Our offices are open Monday through Friday, 9:00 am to 5:00 pm Eastern time. 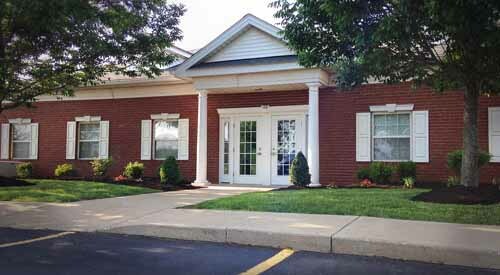 We’re located 1.5 miles south of the historic center of Hudson, Ohio. The entrance to our office is off of Terex Road. We are on the north side of Terex Road, across the road from the national headquarters of Jo-Ann Fabric and Craft Stores. We’re about 30 minutes from the Akron-Canton Regional Airport (CAK), about 40 minutes from Cleveland Hopkins International Airport (CLE) and about 10 minutes from Interstate 80.